The prompt for Day 4 blew me away with its simplicity! Write a lune. A what? A poem about a large diving duck? Turns out a lune is something like a haiku, but even shorter: three lines with a 3, 5, 3 word pattern. Shorter than a haiku? My God, how can this volcano stifle her flow of energy into a mere cough of a poem? And then Erato smashed through my window, scattering double-glazed glass shards all over the floor. “I’m not cleaning that up,” I told her. Erato set her lyre next to me on the black leather couch and touched my forehead with her perfectly manicured and golden ringed fingers. Suddenly, simultaneously I heard Albert Einstein’s quote about propositions, accompanied by the Debussyian ripple of D-flat major’s 6 flats (click here), and saw the score of Monsieur D’s most famous piece illuminated by moonlight. The result is the lune you have just read. 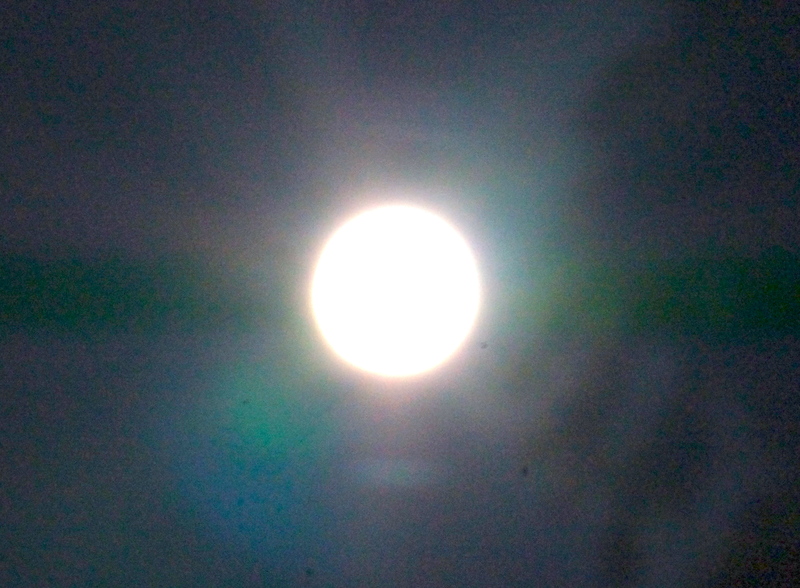 Photo of the moon by the author. Clair de Lune score courtesy of Wikimedia Commons. I will certainly do that, and thanks so much for stopping by. Lovely and simple but not too simple! Thanks, Victoria. Are you writing a lune, too? Thank you, Jo. I appreciate your stopping by. Indeed! This quote has a room of its own in my mind. Thanks, GS. I know where Haiku’s originated, but where do lunes originate. And what is there to keep you from making up your own “susanissima” that is set to a Mexican polka? Hi, Kate! According to the NaPoWriMo website “A lune is a sort of English-language variation on the haiku, meant to better render the tone of the Japanese haiku than the standard 5-7-5 format we all learned (and maybe loved) in elementary school. There are a couple of variants on the lune form, but just to keep things simple, let’s try the version developed by Jack Collum. His version of the lune involves a three-line stanza. The first line has three words. The second line has five, and the third line has three. You can write a poem that consists of just one stanza, or link many lune-stanzas together into a unified poem.